← Inverclyde Royal staff vote in favour of strike action. This entry was posted in Healthcare, Hospital Parking Charges, Wider workplace struggles and tagged Healthcare, Hospital Parking Charges, No Comment. Bookmark the permalink. 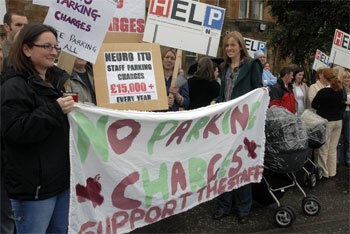 3 Responses to No Comment – Parking Charges.